My friend Carol makes these tasty mini sandwiches for her Christmas morning brunch. She uses the little rectangular dinner rolls that come in a foil tray on the bread aisle. 1. Mix together the softened butter, mustard, poppy seeds, and grated onion. 2. Separate the dinner rolls into long rows. Slice each row of rolls in half horizontally, but do not cut all the way through. 3. 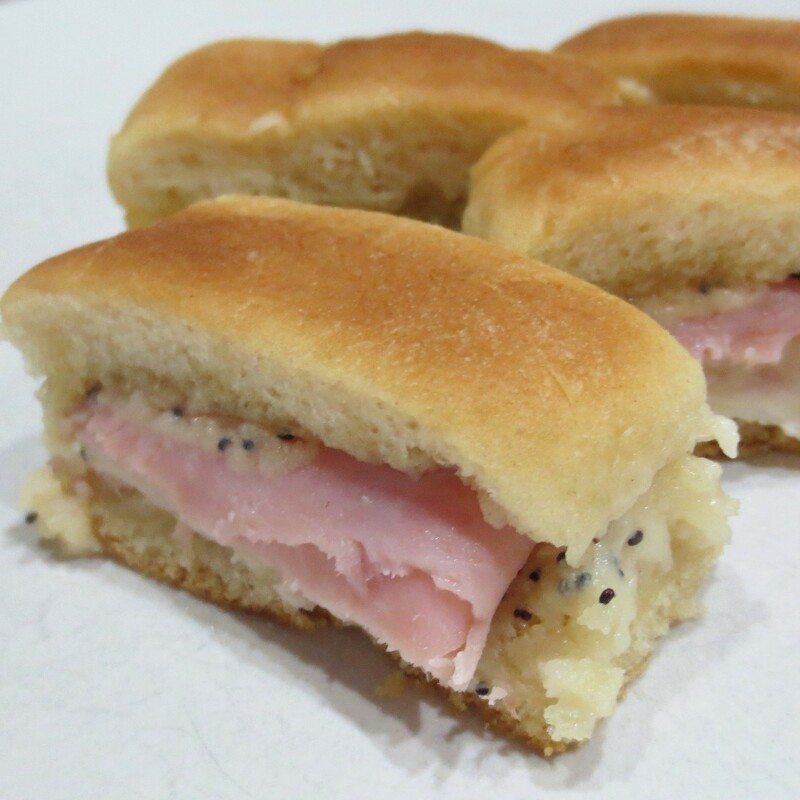 Spread the cut sides of the rolls with the butter mixture, then layer on the ham and cheese and close. Return each row of rolls to the pan. 4. Cover the pan with aluminum foil and freeze, or bake as follows. 5. About 3 hours before baking remove the ham rolls from the freezer to thaw. 6. Preheat the oven to 400°. 7. Bake for 10 to 15 minutes, or until warmed through. 8. Cut into individual rolls to serve.